Marvelous calgary landscape with flower beds and large lawn. - Curb Design Inc. 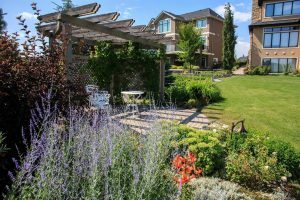 Marvelous calgary landscape with flower beds and large lawn. Beautiful pergola overshadowing a nice patio. Large lavender bushes center stage of the image.